The SWAN UK team is a mix of paid staff and volunteers who work together to support families across the UK, both online and locally. Our Parent Reps form a large part of our team. They are SWAN UK members who volunteer a few hours each week to act as a point of contact in their local area. 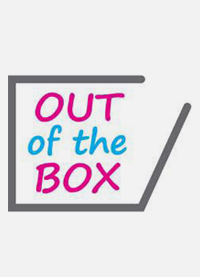 The activities undertaken by each Parent Rep varies but often includes networking with local professionals and services, helping coordinate events and coffee meets for other local SWAN UK members and sharing information. Click here to find out more about the support they can offer. 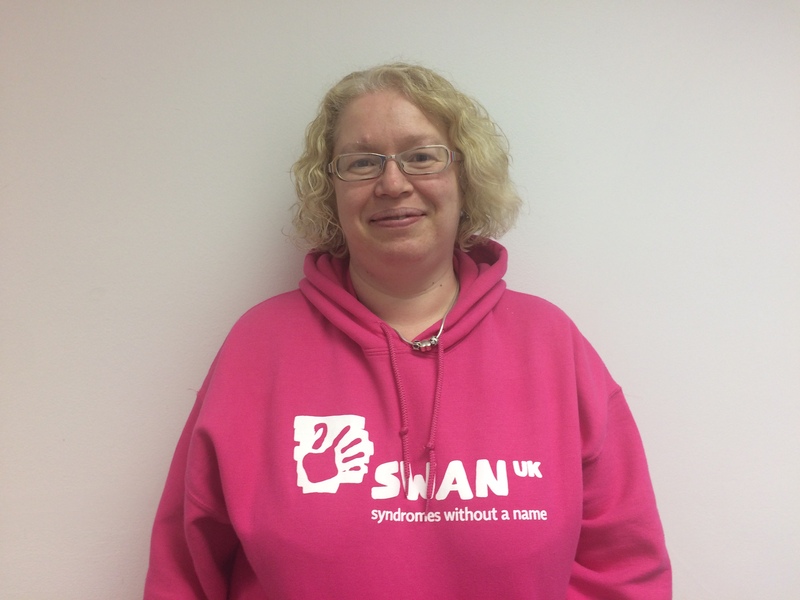 We also have SWAN UK bloggers who write about their experiences of raising a child with a syndrome without a name. Our work is supported by the wider Genetic Alliance UK team. 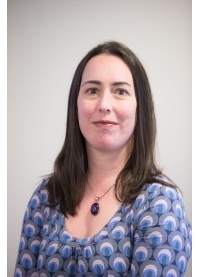 As the Director of Support my role is to develop, implement and manage projects that work directly with patients and families affected by genetic, rare and undiagnosed conditions. 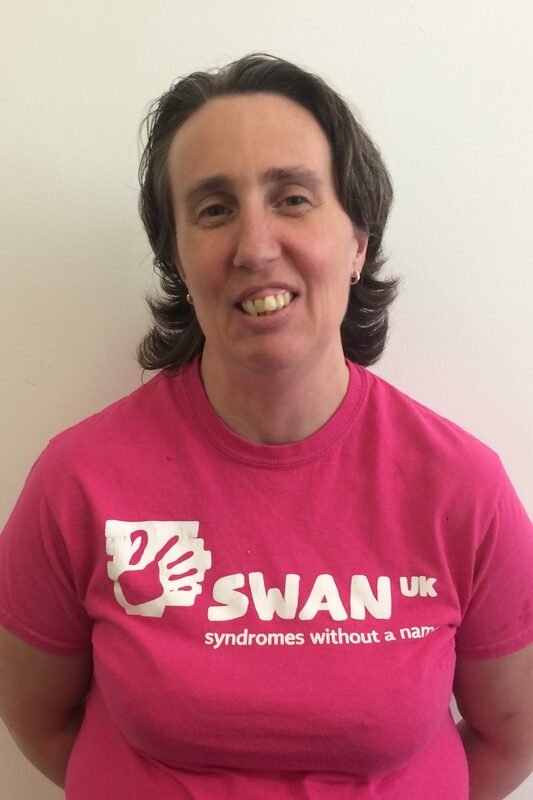 I started working at Genetic Alliance UK in 2011 to establish SWAN UK (syndromes without a name), our support network for families of children and young adults affected by undiagnosed genetic conditions. As an ambassador for SWAN UK, I still coordinate the network’s activities at a national level and with Nick Meade, our Director of Policy, have initiated the SWAN Europe alliance to promote the issues affecting undiagnosed families at a European level. More recently I have been managing our Building Rare Communities project to support the creation of new support groups and develop and strengthen existing small groups, as well as overseeing the pilot of our new Rare Resources. 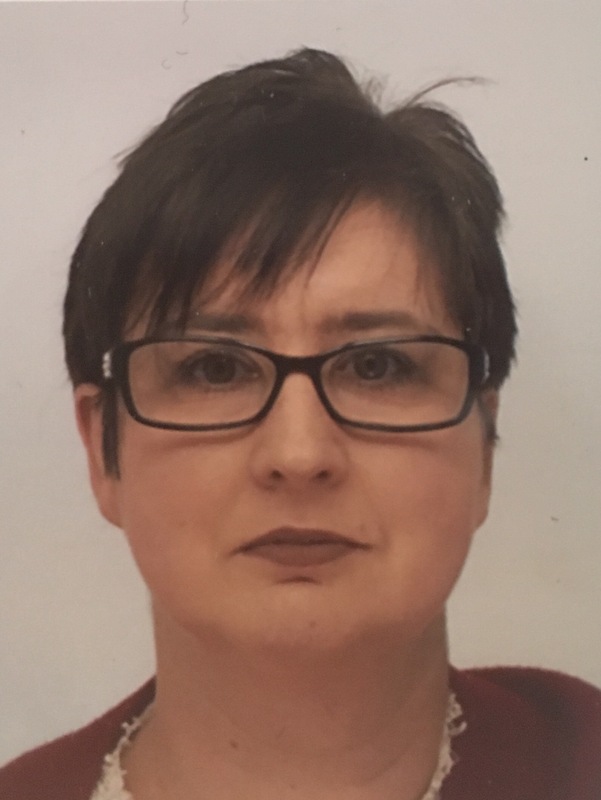 I have a Masters in Anthropology and Development Studies and have previously worked for other disability charities such as Kids and Centre 404. 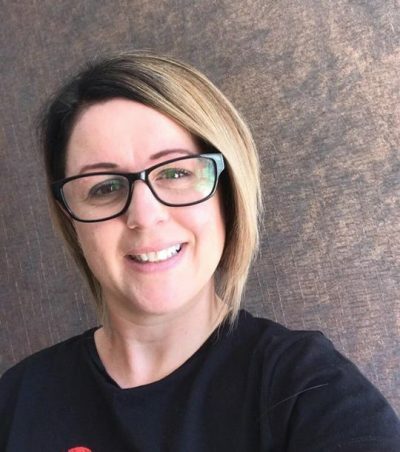 I have a particular interest in developing and providing opportunities for patients, families and parent carers to have an active and informed voice in decisions and processes that affect them. 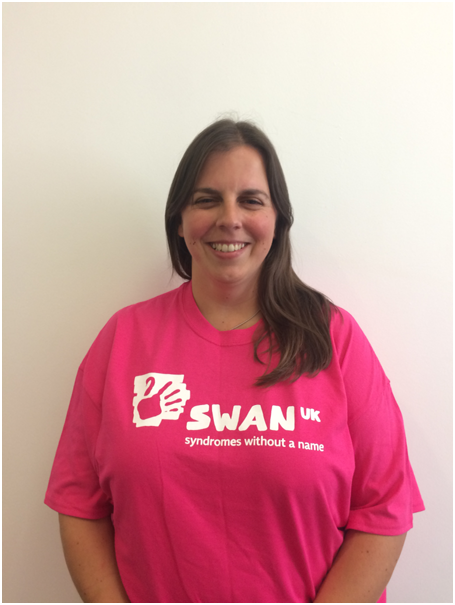 As Communications and Support Manager for SWAN UK, I work to raise awareness of undiagnosed genetic conditions and the support that SWAN UK offers. 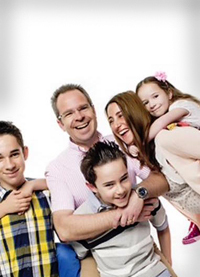 I manage the SWAN UK communications channels and work closely with families to share their experiences. I also manage relationships with external stakeholders including media, charitable organisations and healthcare professionals. 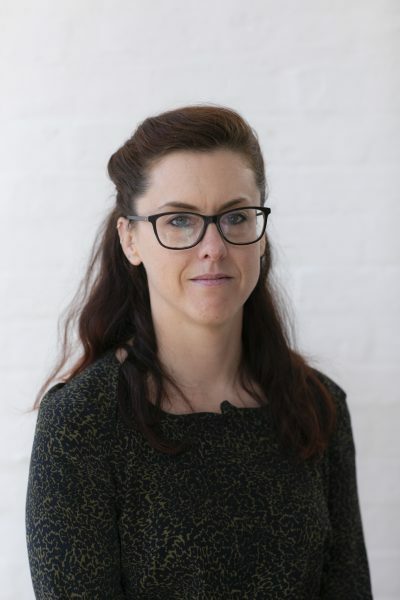 I am part of the wider Genetic Alliance UK communications team and I help make families and professionals aware of opportunities they can get involved in and new developments which affect the undiagnosed community. I am the first point of contact for SWAN UK enquiries and enjoy organising family and information events. I have a background in journalism, marketing and events and am passionate about giving people a platform to tell their stories. 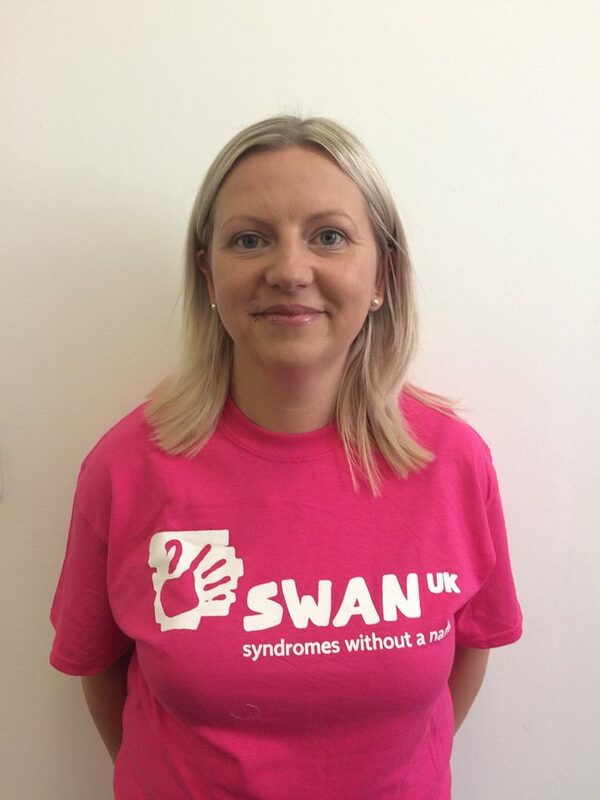 As Communications and Support Officer for SWAN UK, my job is to provide information and support to the SWAN UK community while using our communication channels to raise awareness of the work we do to help children, young adults and families affected by undiagnosed genetic conditions. 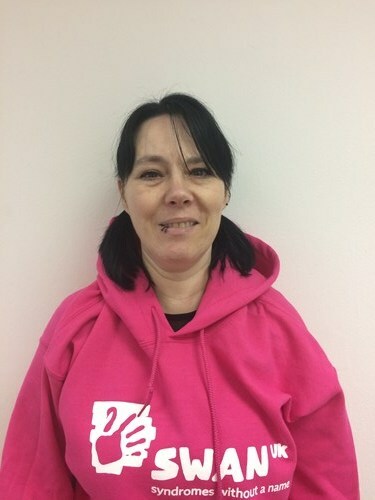 I contribute towards organising and coordinating SWAN UK events and work closely with our Parent Reps to help them run their SWAN UK local networks. I have a Master’s degree in Anthropology, and my academic background focuses on human reproductive behaviours within different social contexts. My role is to support the SWAN UK team in all their office-based work and to manage the registration of new members. 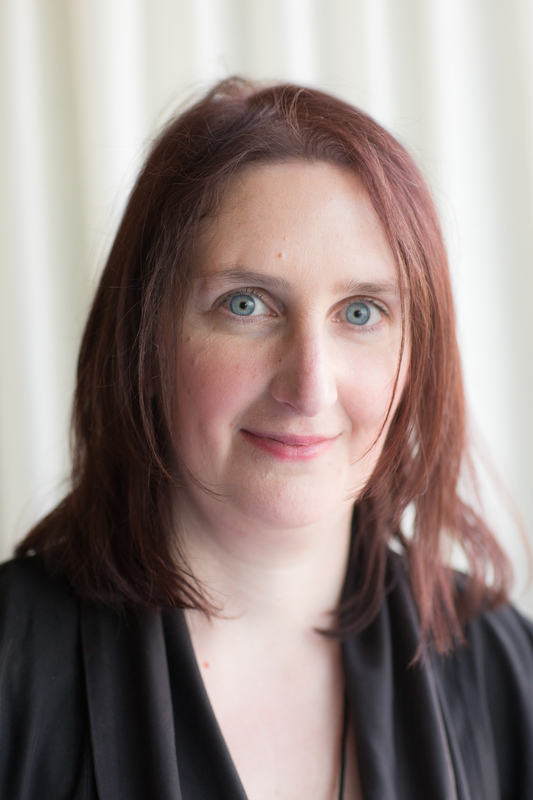 My background is editorial work in trade publishing but I subsequently became involved in the charity world and worked for a national learning disability charity before I came to Genetic Alliance UK. I am particularly interested in the impact that raising a child with an undiagnosed genetic condition has on the family as a whole, and in finding ways to support parents and siblings in that position. 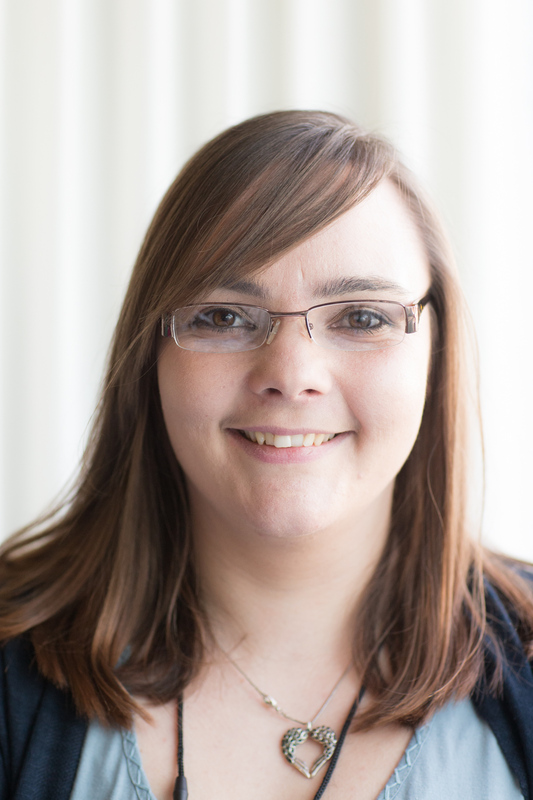 I work as an intern with the SWAN UK team in the run-up to Undiagnosed Children’s Day. My role is to get the word out as much as possible about the day by writing and scheduling posts for SWAN UK’s social media channels, creating engaging infographics and leaflets and producing content for the SWAN UK website. I also liaise with SWAN UK members who are helping out on the day to ensure they have the necessary information and equipment. 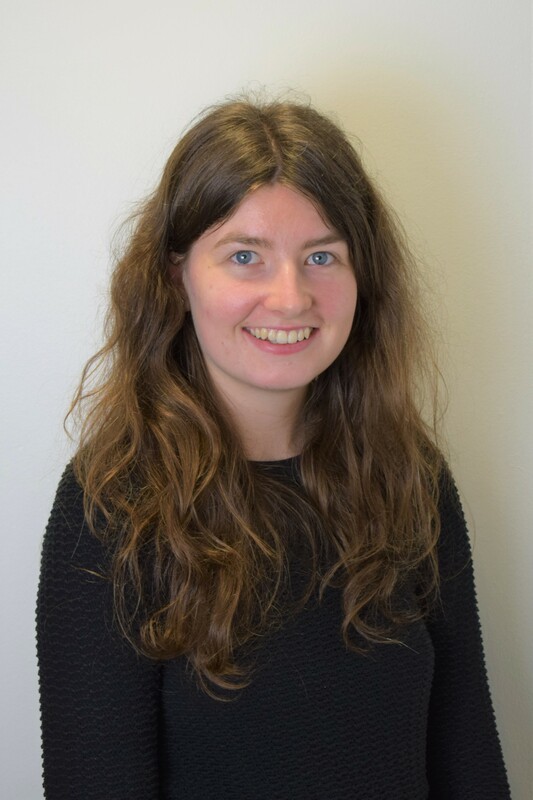 I have recently finished a Master’s degree in Science Communication from UWE Bristol and have an undergraduate degree in Biology from Sheffield University. I have previously worked with the British Science Association and the Bristol Natural History Consortium, helping to organise and run their science festivals. 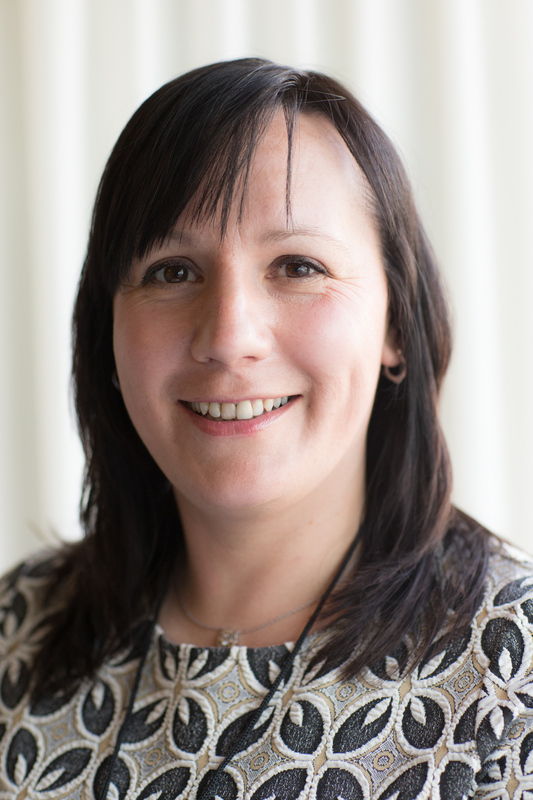 Hi, I’m Rachael and I’m the Parent Rep for Newcastle and one of two Parent Reps based in the North East. I live in Newcastle with my husband Dave and our marvellous megabrood,Edith who is nearly eight, Violet who is six and twins Alba and Nell who are four. old and we were told she had hypermobility. We took this as the answer to her difficulties and believed with physiotherapy intervention she would ‘catch up’. When Violet was 28 months old Alba and Nell were born. By then Violet was also delayed with her speech and language development and learning. 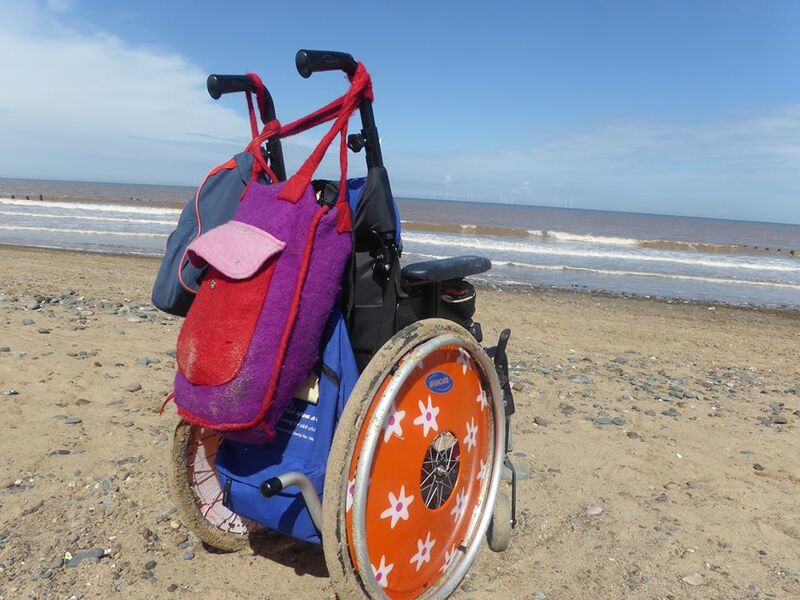 When Nell’s development was also delayed and she also had, like Violet, hypermobility, low muscle tone and episodes of hypoglycaemia, we started to think that their difficulties were part of a bigger picture. We felt confused and alone until meeting another mam who told us about SWAN UK. Through SWAN UK I have found a support network and made some fantastic friends. I am thrilled to be joining the team of Parent Reps, welcoming more members and promoting SWAN UK to professionals. If you’d like to get in touch email: newcastle@undiagnosed.org.uk or send me a Facebook message: bit.ly/rachaelford. Hi, I’m Wendy and I live in South Lanarkshire in Scotland. I’m mum to four children – Caitlin, Sophie, Justin and Charlotte. My younger two children are swans and are believed to have the same undiagnosed genetic condition. Sadly Justin passed away aged ten in 2014. Charlotte cannot walk or weight-bear; she has limited speech, global developmental delay, hypotonia, bowel problems and requires growth hormone. Justin had all of these issues and was also oxygen dependant. Charlotte now attends the same special needs school that Justin did. Despite a barrage of tests over the years we have no diagnosis which can be difficult when dealing with professionals. However, on a visit to the genetics department at Glasgow in 2012 we found a SWAN UK leaflet and I am so happy we joined. SWAN UK has been a lifeline, a friendly ear and has stopped me feeling isolated. Before joining we never fitted in because of the lack of diagnosis, but now I have a support network and friends who just ‘get it’. It is so good to know that I am not alone and always have someone to talk to. I have found that there can be a huge lack of support for undiagnosed families and a lack of understanding from some professionals. 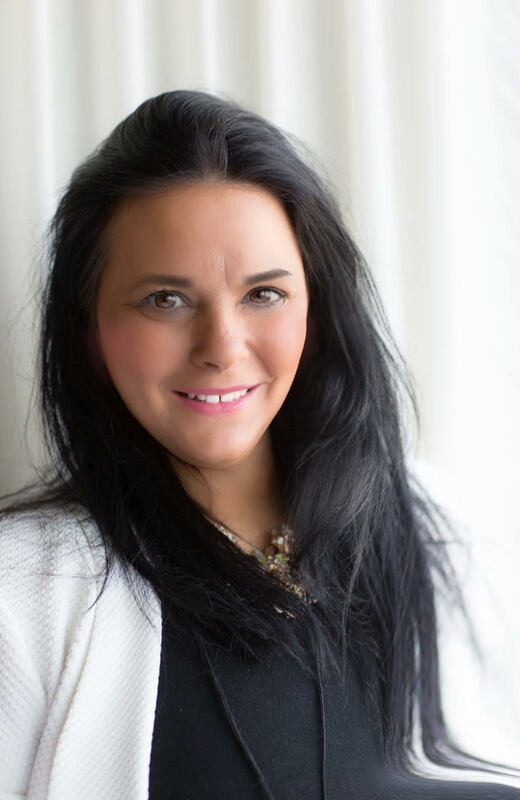 I look forward to spreading the word about SWAN UK in Scotland to hopefully help as many families as possible, and to liaise with professionals to foster greater understanding. 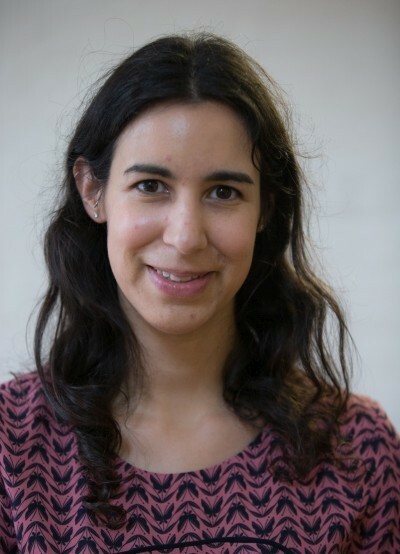 Hello, my name is Claudia and I live a lovely village just outside Winchester, Hampshire. I live with my husband Warren and my three gorgeous boys. Broden (eleven), Chase (five) and my swan Trent (four). We realised from very early on that there was something different about Trent. He wasn’t hitting his milestones, feeding was an issue and he used to literally scream for hours on end. We started to get some diagnoses including global developmental delay (GDD) and autism. He is also non-verbal and hyper-sensitive. Trent has only been walking for just over a year. What makes him our swan is that he has undiagnosed brain damage. We have had two MRI scans, both with very different results, but no answers. While there was information available on GDD and autism, that was easily accessible, and we got lots of leaflets given to us from our paediatrician, there wasn’t anything about how to live without a diagnosis. That’s when I found SWAN UK. It is comforting to know that there are families out there that truly know what it is like having a swan. I am really looking forward to meeting other swan families and introducing them to the SWAN UK support network. 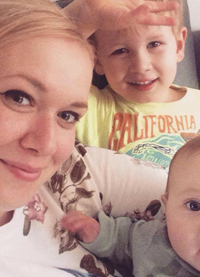 Hi I’m Amanda, a single mum to three boys and I live in Bournemouth, Dorset. My boys are Louie 15, Oscar 13 and Harry 10. My younger two are both swans and have a number of various diagnoses but no explanation or over all diagnosis for their issues. Both have duplication of chromosome 8q13.2; this is from me and associated with brain development. All three of us have a diagnosis of an Autistic Spectrum Disorder. My swans also have duplication of chromosome 3p26.3, some physical developmental issues, connective tissue disorder, joint hypermobility syndrome, bowel issues and sleep disorder. Harry also has motor tics and Oscar is selective mute. They attend mainstream school and Oscar has a full time one to one. At times they are unable to move or walk because of their joints and connective tissues disorder. This can cause pain and swelling and at times Oscar needs a wheelchair. I have tried many support groups as each diagnosis was made and I never felt as if I fitted into any of these groups. I was told about SWAN UK and how they support families of children that have undiagnosed genetic conditions and immediately I knew I had found the place for me. They support such a range of conditions from moderate to severely complex medical and learning difficulties. None of our children are the same, however, we all understand each other and are on the same journey so I no longer feel alone and isolated. My hope going forward is that I can provide a local support network. I will be setting up some regular stay and plays and coffee meet ups to bring families together, and eventually some family days out. I will also be promoting SWAN UK through local groups and information days to find more families who need support. I am keen to identify local medical professionals to connect with and educate them about SWAN UK and undiagnosed genetic conditions, the impact on families and how to put them in contact with SWAN UK. I’m really looking forward to meeting and getting to know more SWAN UK families too. 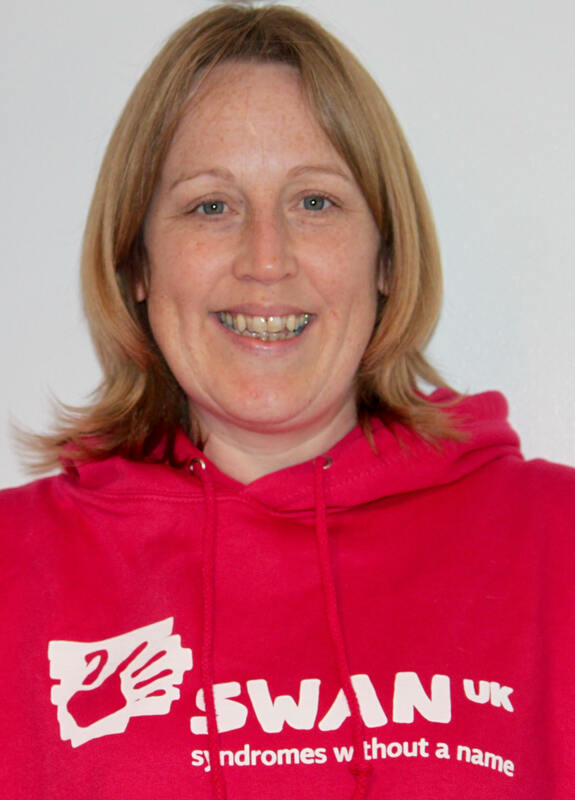 Hi, I’m Amy and I am Parent Rep for Wales, covering the Cardiff area. I have organised a few SWAN UK meetups over the years, and previously held a similar role for another children’s charity for around four years. I joined SWAN UK around eight years ago when my eldest was two years old. 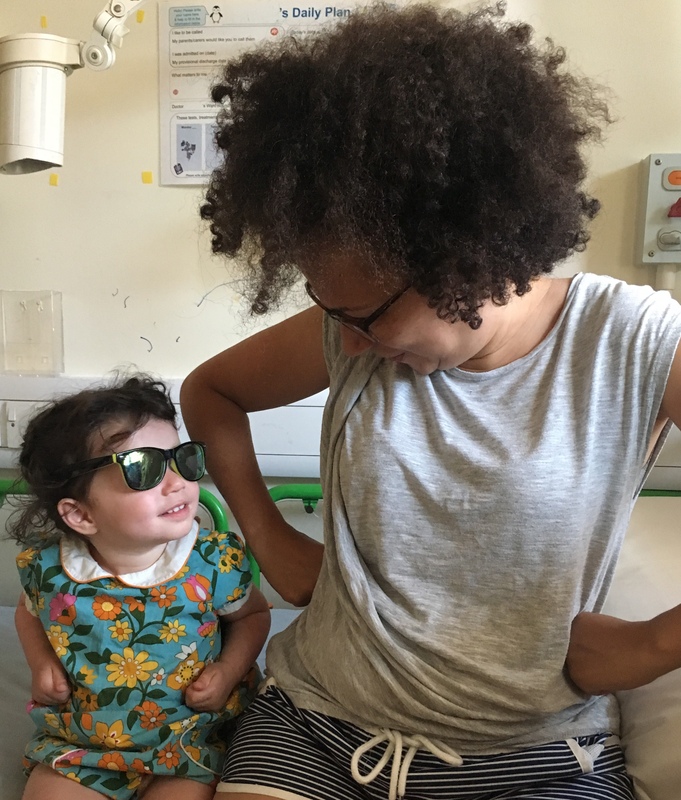 Having been born prematurely, and suffering from numerous health setbacks and challenges, we spent the following five years visiting a number of professionals who were unable to offer my child an overall diagnosis. This of course meant that not only was support lacking, but that his needs were also being neglected. By this time, I had also gone on to have a second child with similar difficulties, although with more severe communication and behavioural issues. Thankfully in 2015 both my children were taken on by a new team of professionals who were extremely supportive and were able to offer partial diagnoses for them both. Although there are a few issues that are still a bit of a mystery, my children’s needs are finally being supported and are progressing well in their own quirky way! Having given a talk to professionals in my role as Parent Rep I’m keen to engage in more public speaking as I think it’s really important that professionals work closely with parents (who are often the experts on their child’s needs!) to best support not only the undiagnosed child, but the family as a whole too. The SWAN UK network really helped me during those early years where we didn’t quite fit into any other group. Being a member also taught me to cherish each and every day with my amazing children, and to live life to the maximum. Although all our children are all very, very different, we are united as one family and that is special. I am really looking forward to developing the undiagnosed network in Cardiff – it’s been a long time coming! 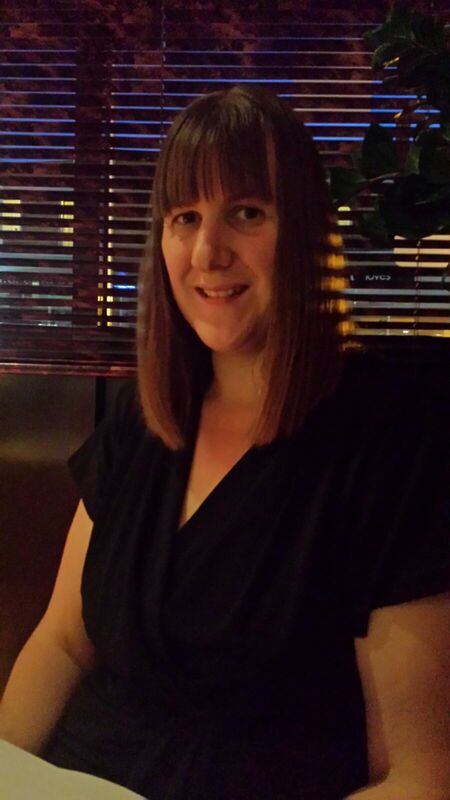 Hi, I’m Sara and I live in Leeds with my husband Dave and our two swans, Aidan who is six and Rhiannon who is 11. I’m also a swan myself. Aidan is the youngest and is more complex and that’s how we found out about SWAN UK. I was on a feeding tube awareness page when SWAN UK popped up on the screen and I thought ‘oh my god, that’s us’. We’ve been members for four years now and since finding SWAN UK I no longer feel alone. 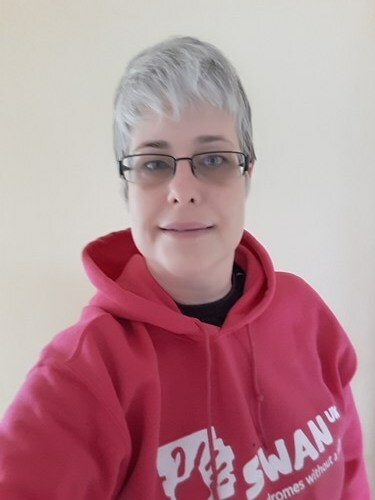 I am a qualified rugby league coach for the Rugby Football League and used to volunteer for them before as well as the Church Lads & Church Girls Brigade before I got ill. I’ve also been a moderator for another organisation’s message board where I helped to support other families using my own experience, which is what I want to do again with SWAN UK. I’d considered being a Parent Rep for a while as I’d arranged a few coffee mornings for SWAN UK members in West Yorkshire and I thought it seemed to be next logical step. I want to give support back to others while things are stable for our family, especially for new members who are feeling alone like we did all those years ago. Hi, I’m Tina from Telford, Shropshire. I live with my five-year-old son called Oliver and 13 pets that consist of two dogs, two cats, a parrot, a tarantula, a snake, a lizard and five chickens … so not a quiet household! Oliver is non-verbal with Global Developmental Delay, sensory processing disorder, bilateral squint, chronic lung disease, balanced translocation of chromosomes six and eleven, enlarged tongue, dysmorphic features and autism. His life threatening issues come from having vocal cord paralysis, a floppy larynx and a restricted airway which means he can’t have liquids or lumpy food. Everything he has is pureed and he is also PEG fed. Oliver also requires oxygen when he gets any sort of cold or chest infection. For a long time I didn’t know where to find support regarding all of Oliver’s complex medical issues and joined separate groups for each illness that Oliver has, so when I found SWAN UK and realised that we weren’t alone it was such a huge relief and amazing to be part of a group that understand my stresses and issues. I realised that there are so many families struggling without support and so decided I would like to help and become a Parent Rep to reach out to as many families within Shropshire as possible. 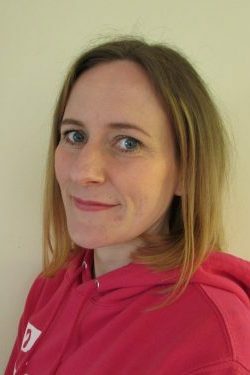 Hello, my name is Marie and I live in a beautiful village in East Sussex with my wonderfully supportive husband Mike and our two amazing children Henry (6) and Dottie (4). When Dottie was around one years old we realised she wasn’t developing as expected and she also started to have seizures. The consultant who had been keeping an eye on us ‘just in case’ since Dottie was born asked me if I worked as I was going to be very busy with appointments. He wasn’t wrong; within six months we were being seen by several consultants in different departments at GOSH and doctors and therapists locally as well. When Dottie was around around two and half our genetics consultant told us it was highly likely Dottie has a genetic condition, probably rare, maybe as yet not discovered. Despite all we have been through so far this still came as a shock. It meant she wouldn’t just grow out of all of this as lots of friends and family told us to try and reassure us. It finally dawned on me that this is why all the doctors we were seeing were scratching their heads and not giving us any answers. It was some time after this during one of my many late night google searches that I came across SWAN UK and realised we were not alone. Just that on its own gave some reassurance. I’ve stopped my internet searches for now as they are not helpful and cause more worry and sleepless nights rather than provide reassurance. Both me and my husband practise living in the moment, living for now. We have two wonderful children who are both so very happy and give us so much joy and teach us more than we ever thought possible everyday. We don’t know what the future holds or if we will ever get a diagnosis but for now that’s fine. We are not alone. I’m hoping, from what I’ve learnt from having Dylan in the last (almost) 6 years I can use this knowledge in my role as a Parent Rep and can identify and reach out to families with undiagnosed children in the area, and raise awareness locally about being undiagnosed. 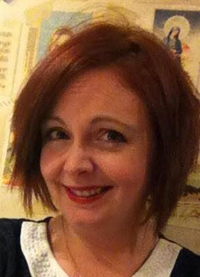 My name is Emma and I live with my husband on the borders of Bedfordshire and Cambridgeshire. We have three children all with additional needs. I work part-time as a paramedic. My three children and I are all currently mostly undiagnosed. As a child I had lots of hospital appointments and met lots of professionals who looked at my various symptoms in isolation. It was never really considered that these may all have an underlying cause which connected them all. We also joined SWAN UK in 2012 after a fellow swan mum pointed us in the right direction, it’s an amazing group where I have made lots of friends and there is a wealth of knowledge. I only wish I had known about SWAN UK in the early often very gloomy days. I look forward to meeting more SWAN UK families and helping to raise awareness of the additional challenges associated by being undiagnosed, be it a child or an adult like myself. 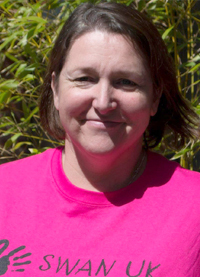 Hello, I’m Louise James the SWAN UK Parent Rep for Bristol. SWAN UK (syndromes without a name) is run by the charity Genetic Alliance UK. 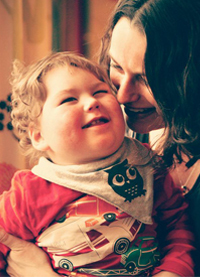 It offers support and information to families of children with undiagnosed genetic conditions. I have three children. My youngest Scott who was born in 2010 has epilepsy, Global Developmental Delay, severe learning difficulties, hyper-mobility, low truncal tone and sensory processing disorder, but no overriding diagnosis to explain the cause of his issues. 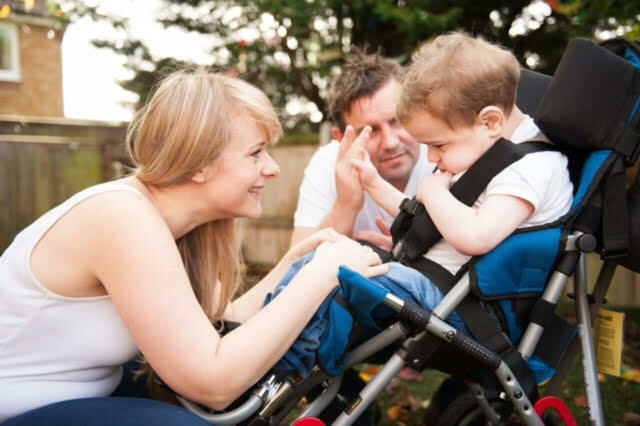 It took a long time for doctors to listen to my concerns when Scott was first born as all test results were coming back as normal and this made accessing support nearly impossible, until my health visitor gave me some information which led me to SWAN UK. 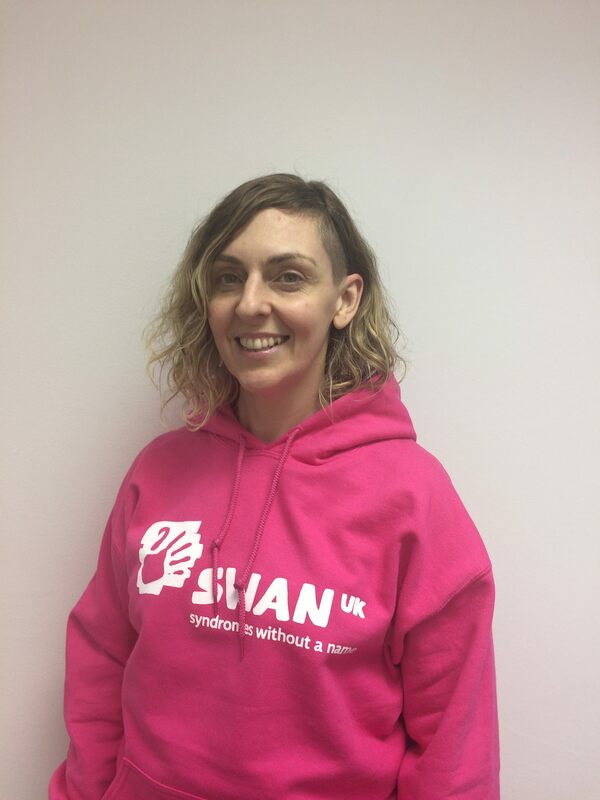 I have chosen to volunteer for SWAN UK as a Parent Rep so that I can raise awareness in my local and surrounding areas and hopefully help families feel less isolated. My Background is in early years and I work part time in a local nursery as a Special Educational Needs and Disability support. Hi I’m Michelle. I’m mum to William and James and we live in Barnsley South Yorkshire. Our Swan is James who is 5 and still mostly undiagnosed. 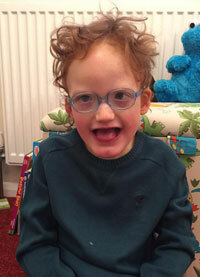 From birth James was poorly with seizure like activity and respiratory problems. We just assumed that the first consultant that met us would know what was wrong, diagnose the issue, start treatment, get James better and our lives would get back to normal! The first 2 years of James’ life is just a horrible blur of tests, operations and hospital admissions. We were terrified, isolated, sinking fast and had no one to turn to because we had an undiagnosed child so we never ticked the right boxes. One day a nurse on the ward mentioned SWAN UK, which was a lifeline for us as we weren’t alone. There were other families out there that were fighting similar battles to us. The feeling of not being alone any more was empowering, I have made some wonderful friends who quite simply ‘just get it’. I have really enjoyed organising events and local meet ups whether it is visiting a family in hospital or just having a quick coffee with a swan mum who just needs someone to listen. Hi, I’m Lisa, mum of 4 children, 3 of whom have special needs, 2 being SWANS and 1 having aspergers with sensory processing disorder. My youngest swan is our daughter, Amelia, who has an undiagnosed neuromuscular/neurogenic condition. She can run and jump one minute and not even sit up properly the next. She has a feeding tube for nutritional support and takes a raft of medications every day. She uses a wheelchair when fatigued and we do physio at home and at the hospital on a regular basis. Despite the ups and downs, she is hugely entertaining, determined and feisty. 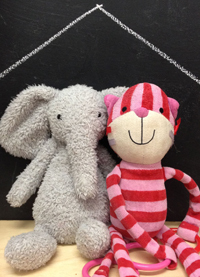 When I joined SWAN UK over 3 years ago, I discovered a group of like-minded parents. Although our children’s issues can vary hugely, we all share the common bond of being undiagnosed and not knowing where we fit in. I love the camaraderie, sharing the highs and lows, the knock backs and achievements and knowing that day or night, someone will be around to offer support. Hi, I’m Claire and I’m a single parent of 4 children between the ages of 13 and 6. We live in Northampton, in the East Midlands. My 3 younger children are all undiagnosed. They have a host of medical issues, from coeliac disease, to gut dysmotility, food allergies to anxiety, a heart murmur, to growth disorders, hypermobility to chronic pain, hypoglycaemia, to reflex anoxic seizures, and hypothyroidism to good old fashioned reflux and a few learning difficulties thrown in for good measure, amongst others. My youngest son is currently the most complex of the 3, involving a regime of Total Parenteral Nutrition (Intravenous feeds) and enteral (tube) feeds. I have spent many years trudging my way through, alone, afraid, and isolated, trying to add myself to support groups, but never quite feeling like I fitted in, with everything a battle. Then I found SWAN UK and my life became less alone, I was a part of something, and I felt like I fitted. I am really excited to get started on this journey, and bringing SWAN UK to Northamptonshire! I’m Helen and I live in North Nottinghamshire with my two children, Chloe, 15 and my Swan Steven, 12. I also visit the Oxfordshire and Berkshire areas often as I have family living there. Steven suffers from medical and learning difficulties. Looking at Steven you wouldn’t think that anything is wrong with him. He attends a local mainstream school, he’s also a member of a local dance school along with his sister Chloe. He competes in dance competitions as well dance shows and loves acting. Before I found SWAN UK I felt alone in this journey, so did Chloe and Steven. Finding SWAN UK has helped us as a family to see that we’re not travelling this road alone. I want to raise the profile of SWAN UK locally so we can reach more families so they don’t feel so alone. I’m Jo and I live just outside Portsmouth with my husband Alex and two daughters Megan and Connie. Megan is five and is our swan. Apart from some food allergies and maybe taking a little longer than expected to master sitting and walking Megan gave no indication that anything might be wrong until well into her second year. 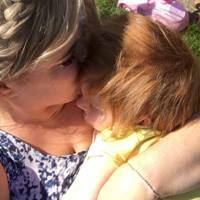 At 15 months old I noticed her progress seemed to have slowed and by 18 months I was concerned that she had stopped making the speech sounds that she had learnt. I spoke to our GP, and he referred her to our local hospital. 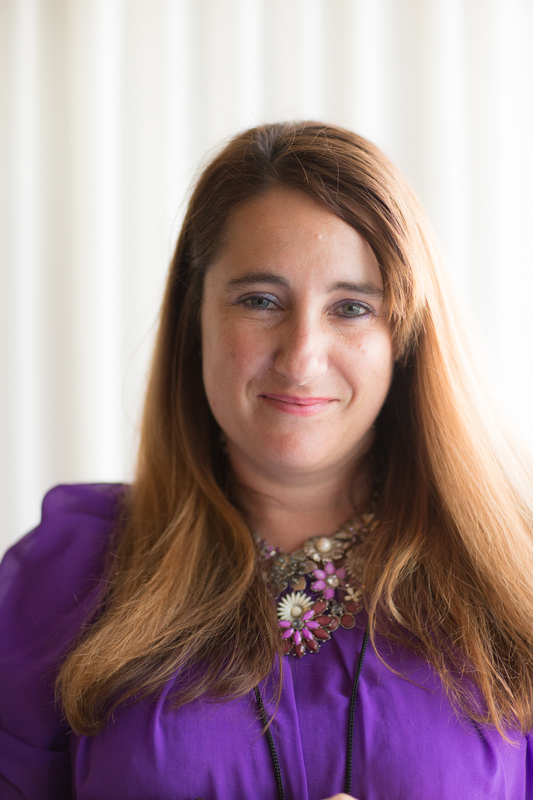 I wasn’t really expecting what came next, however, life since has been a non-stop whirlwind of genetic tests, MRI scans, EEGs, and countless appointments, none of which have given us any clue as to the cause of Megan’s difficulties. She experiences periods of regression, periods of progress and has a real mix of strengths and difficulties. Her greatest difficulty is with spontaneous communication, she also has gross and fine motor difficulties which are slowly deteriorating. However she loves drawing despite her challenges with holding a pencil, and is fast becoming a great reader. I have been a member of SWAN UK since late 2016. In February 2018 I attended one of their information events held in Southampton. It was such a fantastic experience to sit and listen to medical professionals talk about genetic testing, genome sequencing and the importance of diagnosis. It made such a difference to realise that there were other families struggling with the unknown, and a whole raft of medical professionals out there looking for answers. For me, having knowledge of the work currently going on into understanding rare disease is empowering, it gives me strength and helps to remove that nagging self-doubt that not having a diagnosis means – that as a parent you have somehow overreacted or got it wrong. I knew straight away that I wanted to become more involved with the work of SWAN UK to help share the knowledge and understanding of living with undiagnosed conditions, that will ultimately help other families in similar situations to mine. 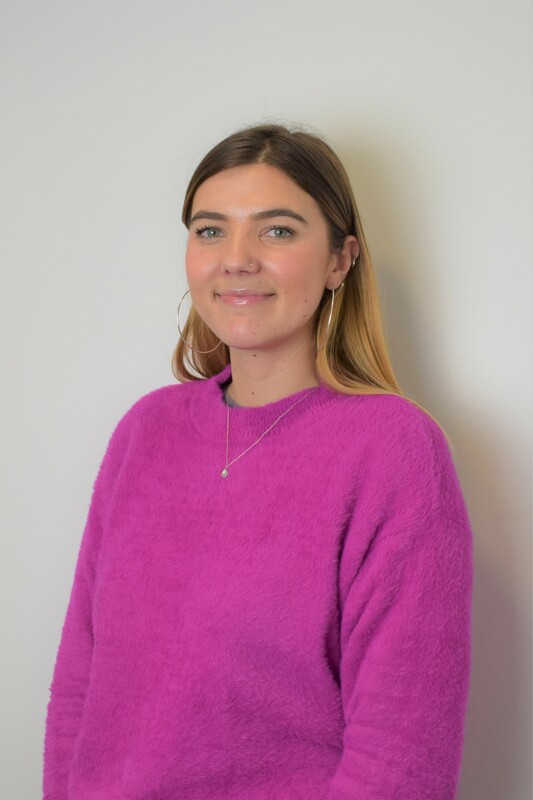 I’m looking forward to taking on the role of Parent Rep, raising awareness of the work of SWAN UK, and getting to know more families in my area. This blog is about the most important thing in my life: my family. In many ways it is a fairly ordinary family. Our second child, our son, was born profoundly disabled. Benjamin’s condition has no formal diagnosis. This blog is called “the long chain,” a quote from Dickens’ Great Expectations: “That was a memorable day to me, for it made great changes in me.” The day we chose to keep him was a day that changed our lives. (Whatever we chose, it would be a day that changed our lives). One day in our own long chain. 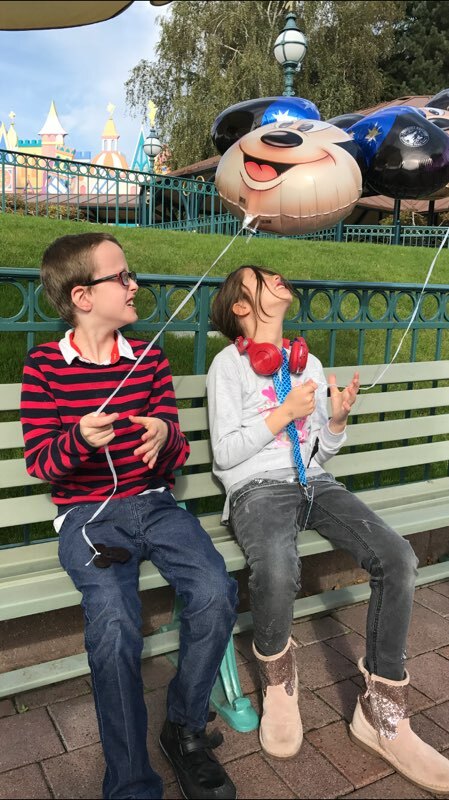 An insight into our family life with two children with special needs – one who is undiagnosed and one who is diagnosed, the ups & downs & all the craziness in between. A Mum, A Dad, A Boy with Leaky Kidneys and Tyrannical Toddler. Architect and parent carer. Passionate about sustainable inclusive design. Blogging about our family life and our home adaptations project, accessible places, spaces and things. This is, primarily, a blog about our little boy, Alex. 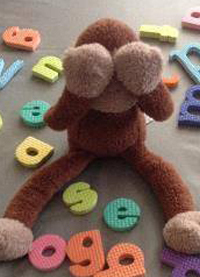 He has an undiagnosed genetic condition which has resulted in global developmental delay with a visual impairment. He’s a mystery, an enigma and utterly utterly gorgeous. He’s also cheeky. 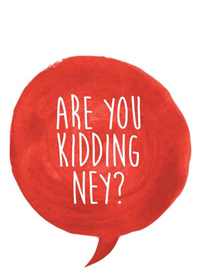 And funny. 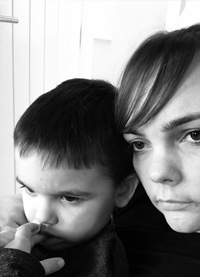 The life and crimes of a mother of 4 . . 3 with additional needs. Follow the ups (& downs) of our beautiful SWAN Dylan. With no diagnosis we have no prognosis leaving the world to be his oyster and anything is possible. At (almost) six years of age & on more daily drugs than an elderly person, potent injections, and having more tests, investigations and general aneathetics to count, day by day Dylan is defying the many many doctors involved in his care. 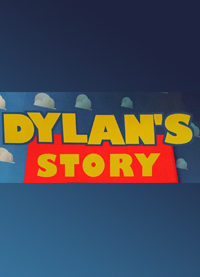 Dylan is our six-year old – stuck in the body and mind of a baby. 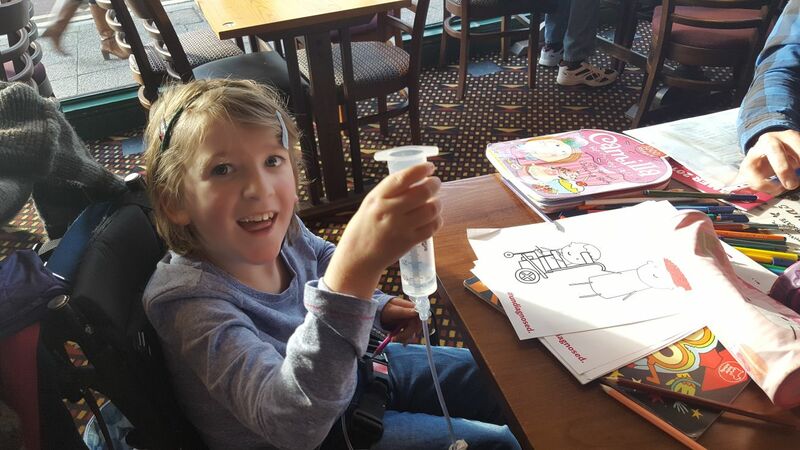 Dylan’s one diagnosis is ‘life-limiting’ so we cherish every single day. Meet Dylan our real life Peter ‘puzzle’ Pan. 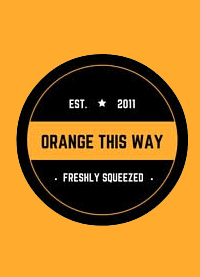 This blog is about life, different, the same – inspired by my youngest child who is a medical mystery and whose nickname is Orange. Following the life of our undiagnosed son Freddie. The ups, downs and everything in between. Rambling about life with a ‘medical mystery’, an undiagnosed child: the good, the bad and the downright chaotic. So, about me. Well I’m Claire, and have 4 children. Katrina is 12, Cameron is 10, Ayden is 7 and Rowan is 6. We all live, in a place we like to call the ‘mad house’ you have to be mad to step through our door!! We also have our trusty ‘man’s best friend’ a husky, called Luca who you can trust…..to steal dirty socks! We also have a puppy, Olaf. There are a lot of medical labels attatched to our family which I’ll get to later on. Our family has been to hell and back but we’ve met some of the most amazing and inspiring families along the way!! Family life with a severely learning disabled child. Ups and downs. How he has changed us … all … forever! My journey into parenthood has been an unexpected one, sole parenting a medical mystery and her brother whilst always remembering to be a badass! 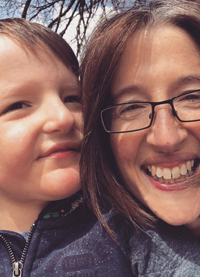 A medically complex, undiagnosed little boy’s rollercoaster journey through life and his devoted mummy’s journey through bereavement after his death. I’m a mum of two wonderful children, Lacey and Luke. 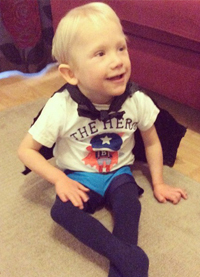 Luke has an undiagnosed genetic condition, global developemental delay, hypermobility, hypotonia, social communication difficulties and whole lot of cuteness and smiles. The inner workings of a mother parenting a child with an undiagnosed condition. Hi, I am proud mum to two gorgeous kids who were once undiagnosed but who now have a diagnosis, but their syndromes still have no name. This blog seeks to take you on the journey of our angel and solider – laugh with us, cry with us, share our joy and our challenges … enjoy the ride (you’ll need a tissue every now and again)! This is a blog about learning to be a writer. This blog is about learning to care for an undiagnosed child. This is a blog about the explosion that happens when those worlds collide. Im Jo. 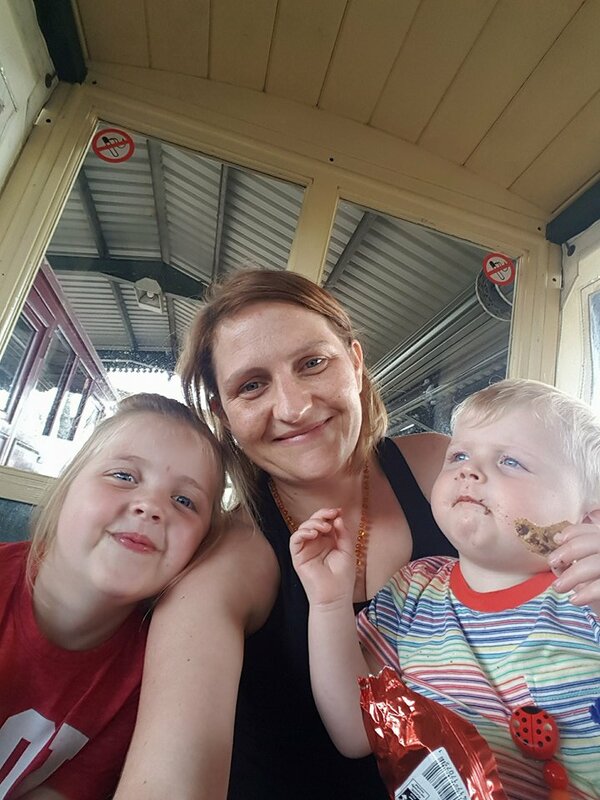 Mum to three children and wife to Mr H. My blog is about my family, how we cope living with an undiagnosed child and all the trials and adventures that we have. 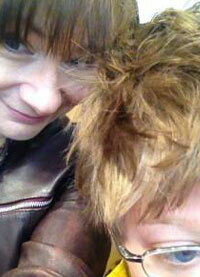 Living with our blonde haired boy, Reuben is not only a massive challenge but a barrel of laughs.